OTC Markets Group's ("OTCM") Caveat Emptor designation is that financial market's strongest indication that traders need to carefully consider the ramifications of an investment in the designated issuer. OTCM does not take the tagging of a ticker with the skull and crossbones icon lightly, and it could be said that, in fact, OTCM is not liberal enough with its application of the tag. The application of the Caveat Emptor tag can often be devastating to an issuers ability to have its stock trade at fair market values as the share price almost always degrades as a result of the desgination. This will effect shareholders' investment values, and the ability of the issuer to seek financing at more advantageous terms. Currently, management of Caveat Emptor designated issuers often turn to attorneys to communicate with OTCM in an effort to have the tag removed. Invoking legal counsel to accomplish compliance in this area could be an unnecessary expense, especially when considering that the Caveat Emptor designation is not a regulator's (SEC or FINRA) condemnation. Caveat Emptor carries no legal ramifications with it. Rather, it is an opinion assessed by OTCM, that the issuer may be out of compliance with the policies set by OTCM in an attempt to minimize public interest concerns. As a former consultant to OTCM and a long-time advocate for truth in the public markets and fairness to shareholders, George Sharp, has a unique understanding of the Caveat Emptor decision making process and invaluable access to certain individuals at OTCM. 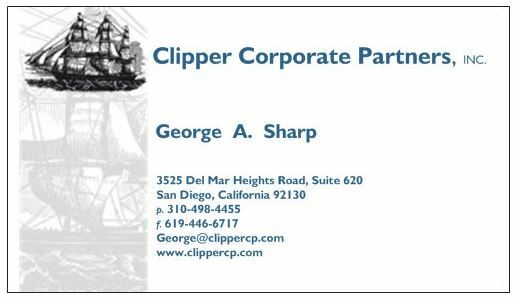 Although a reversal of the designation can never be guaranteed, even by legal counsel, Clipper Corporate Partners is able to communicate with the appropriate individuals at OTCM and provide the expertise required to bring the issuer back into compliance with OTCM's policies, towards the eventual goal of having the Caveat Emptor tag removed without the expense of legal representation.